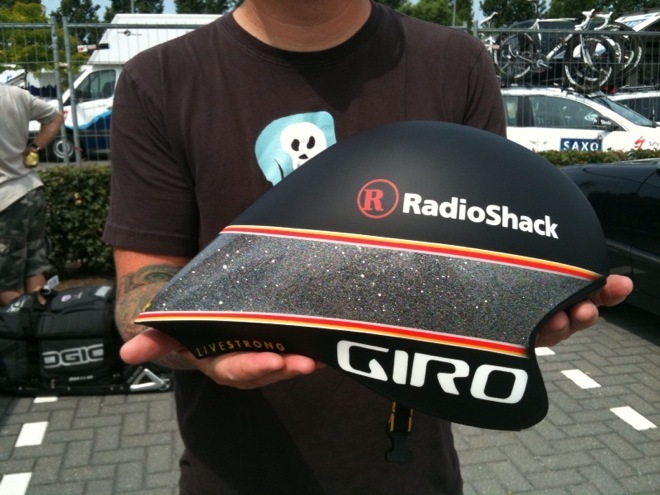 Little have I seen this reported anywhere with the exception of this news clipping, but Santa Cruz, CA based Giro Helmets, is fading away from one Lance Armstrong. The very company that made helmets cool back in the late 80's by patterning them after racers, went so far as to create a helmet just for their hero, so he could shave a few seconds off his Time Trial in the 2010 Tour de France. Well, now that he's gone and all their racers look like drug cheats, little is heard from a company that relies a lot on promoting the athletes of a sport that is much tarnished at present. 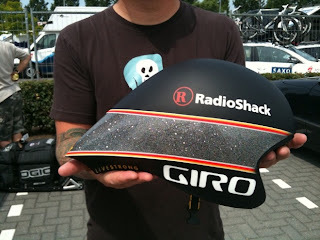 Here is an article about how they made a helmet just for Lance.